We always enjoy receiving feedback on our customers’ experiences in having Miracle Method refinish surfaces in their homes. 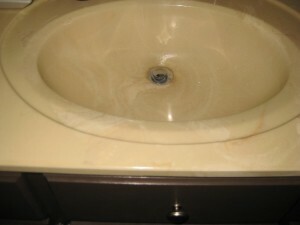 We were delighted to see that one customer, Lisa B., recently shared her positive experience with our recently-opened Canadian franchise on her blog, which refinished her vanity and sink, as well as her tub and surround. In a three-part series, Lisa explained exactly how the Miracle Method process works, from franchise owner Rick Frank visiting her home to complete the estimate, all the way through to the final results. Her story is a great, first-hand example of how our process works from a homeowner’s point of view. Thanks, Lisa, for sharing your positive experience with Miracle Method’s London, Ontario franchise on your blog! 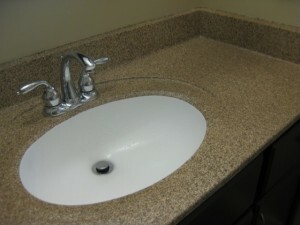 We are thrilled to hear that you are happy with the results. 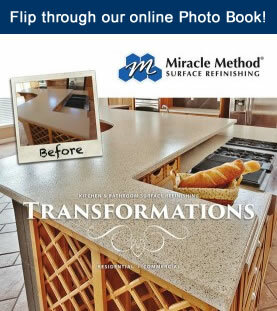 Are you considering having your local Miracle Method franchise refinish a tub, countertop, or tile surface in your home, but want to hear what others have to say first? Please visit our website to read what other satisfied Miracle Method customers have to say. If you’re ready to connect with your local franchise, call 855-212-7337 or use our online locator.